This is Magia’s Live Auction donation for the 2015 NBDCC. 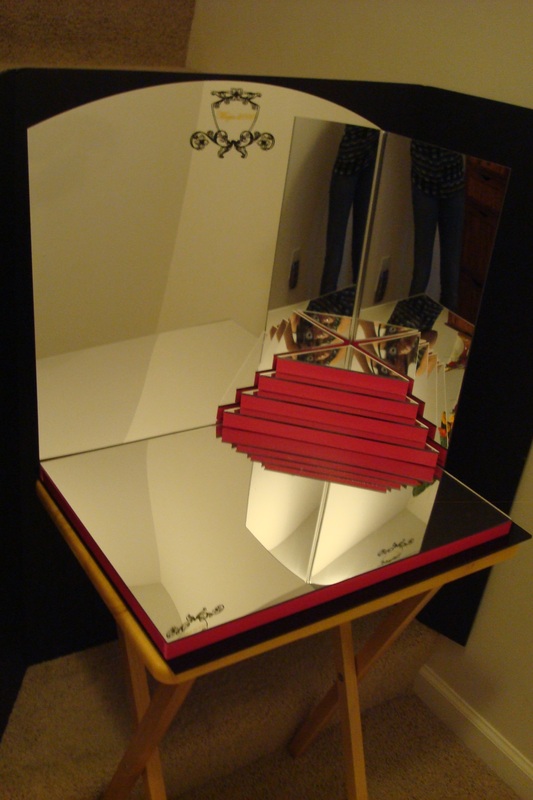 The display created is made of mirrored and black acrylics, with painted pink stage and step risers with mirrored tops. The doll and display are now in a private collection. This entry was posted in Convention auction displays on August 19, 2015 by bDisplayed. 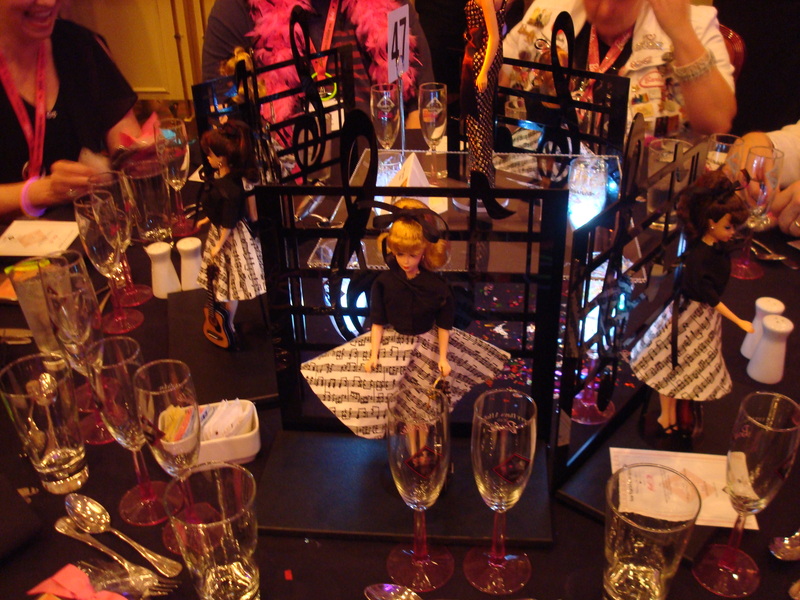 These music displays were created for both the 2014 Music City Doll Club luncheon and as table gifts for the 2014 NBDCC. They are a black acrylic back piece with music notes with a black HDPE base. This is an example of a theme-specific display, with 14 units produced. 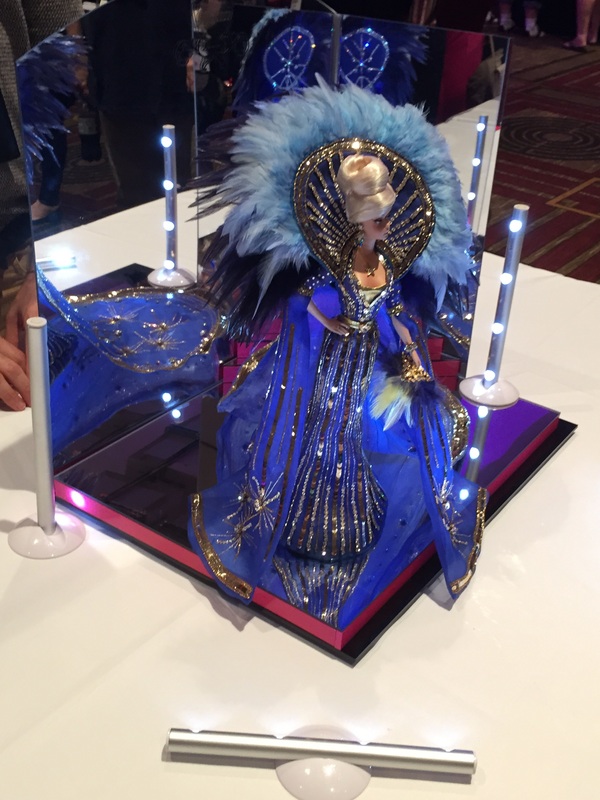 This entry was posted in Convention event centerpieces on September 1, 2014 by bDisplayed. 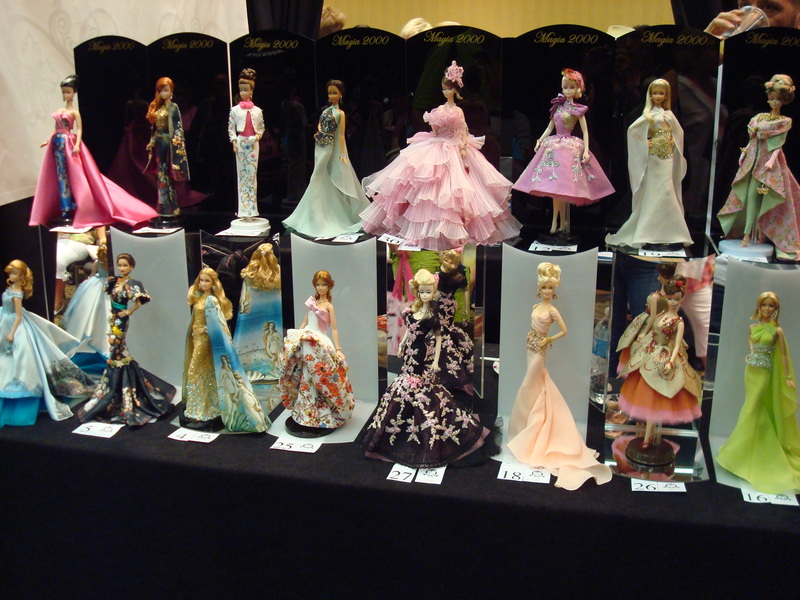 We worked with OOAK doll artists Magia2000 to showcase their dolls for their convention sales events. 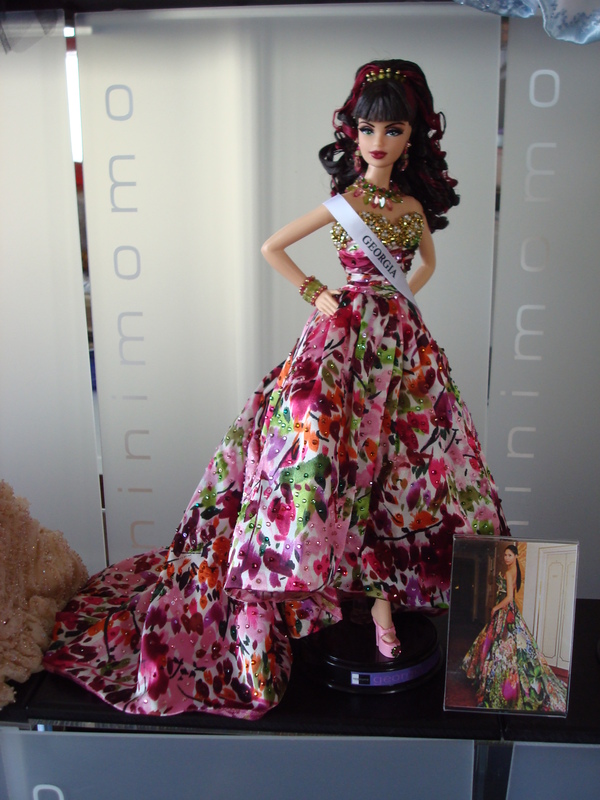 They wanted an understated elegance to compliment the elegance of their dolls. These displays are actually two pieces, each having a black acrylic back piece (lettered in gold with Magia2000) and either a mirrored or milky white insert piece. 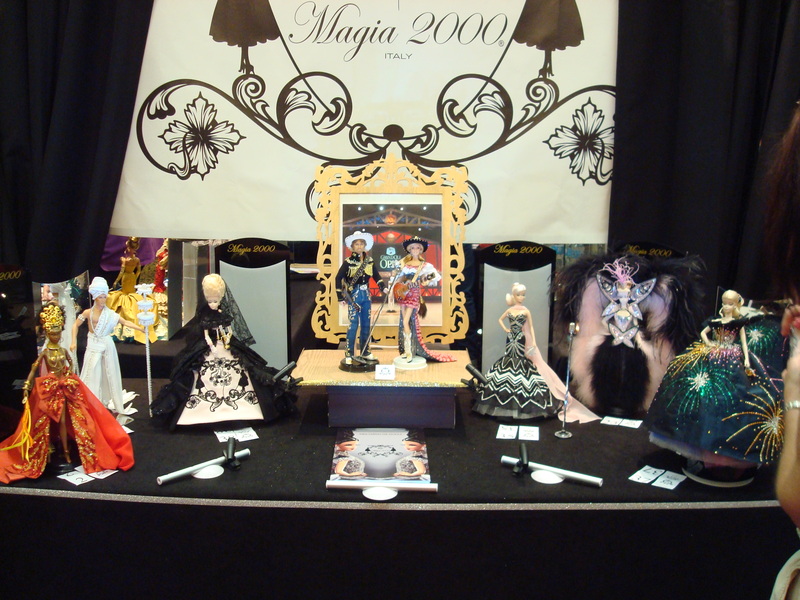 For this convention, Magia separated the inserts from the backs, doubling the number of displays available. For the main front displays, the display back pieces and inserts were left together. This entry was posted in Convention sales displays on September 1, 2014 by bDisplayed. 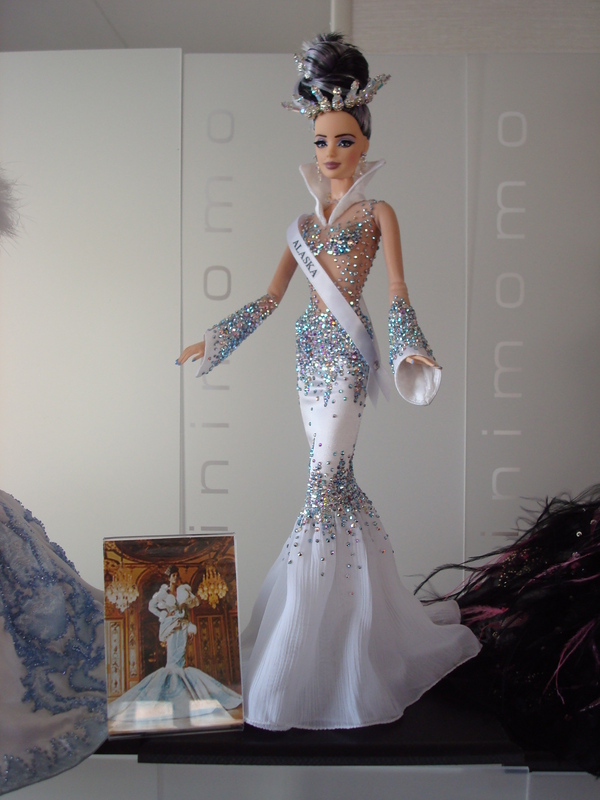 We created special sales displays for Ninimomo several years ago. They wanted something elegant yet unobtrusive, that would pack and ship easily for moving to their different conventions. 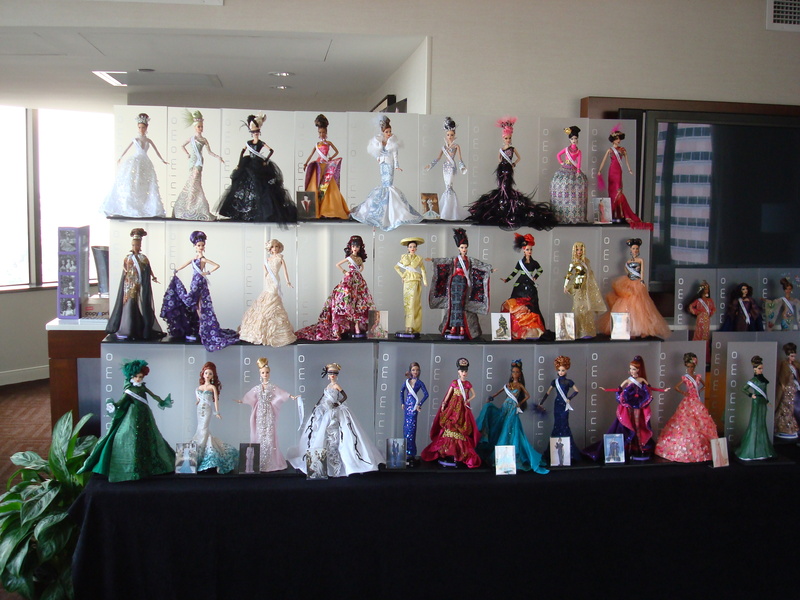 The concept was to enhance the dolls with a cohesive display without taking away from the uniqueness of each doll. These are black matte HDPE bases, frosted acrylic backs with the ‘ninimomo’ name in white vertically on the left side. The bases are separate from the backs for easy transport/shipping. They come in widths of 7″ and 10″. This is Ninimomo’s Live Auction donation for the 2012 NBDCC. 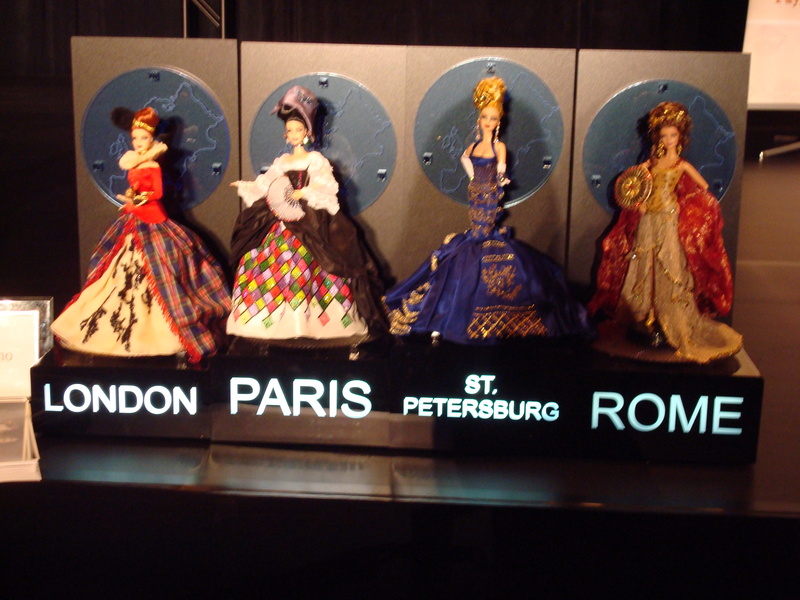 The display created stays with the convention theme of The Grand Tour, representing London, Paris, St. Petersburg and Rome. The displays (4 separate) are made of black, clear honeycomb and fluourescent blue acrylics. Each city is lighted from within and the round blue fluourescent back acrylic has the European continent etched in it with a crystal designating each specific city location. The dolls and displays are now in a private collection. 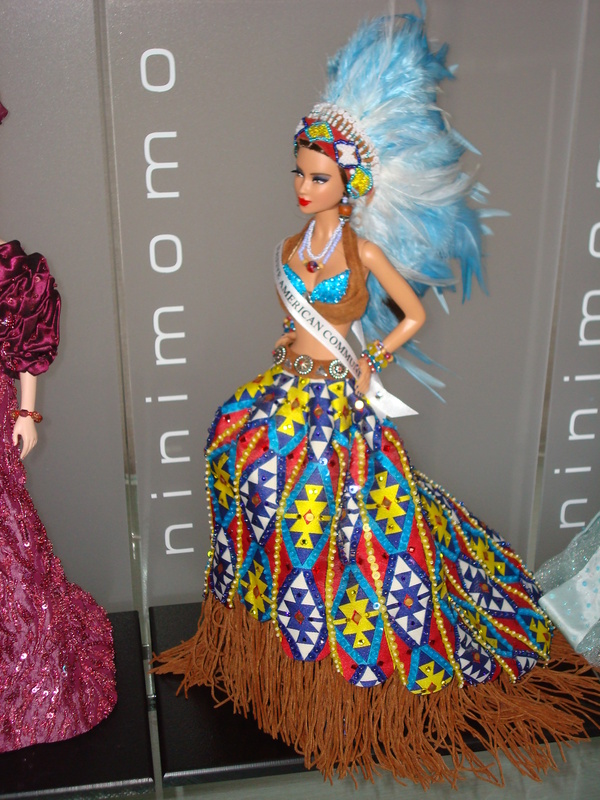 This entry was posted in Convention auction displays on September 1, 2014 by bDisplayed. This is Ninimomo’s Golden Ticket donation for the 2012 NBDCC. The display created stays with the theme of The Grand Tour, representing Venice. The display is made of black, silver wave and platinum acrylics. 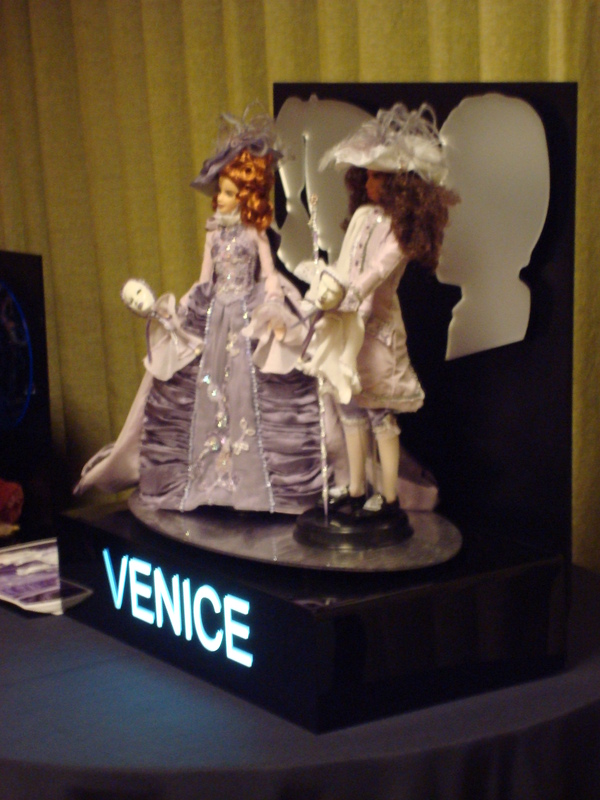 ‘Venice’ is lighted from within, the silver wave base acrylic represents the water of the city and the Barbie and Ken silhouettes in platinum acrylic represent the two doll set. The dolls and display are now in a private collection. This is Ninimomo’s Raffle Room donation for the 2012 NBDCC. 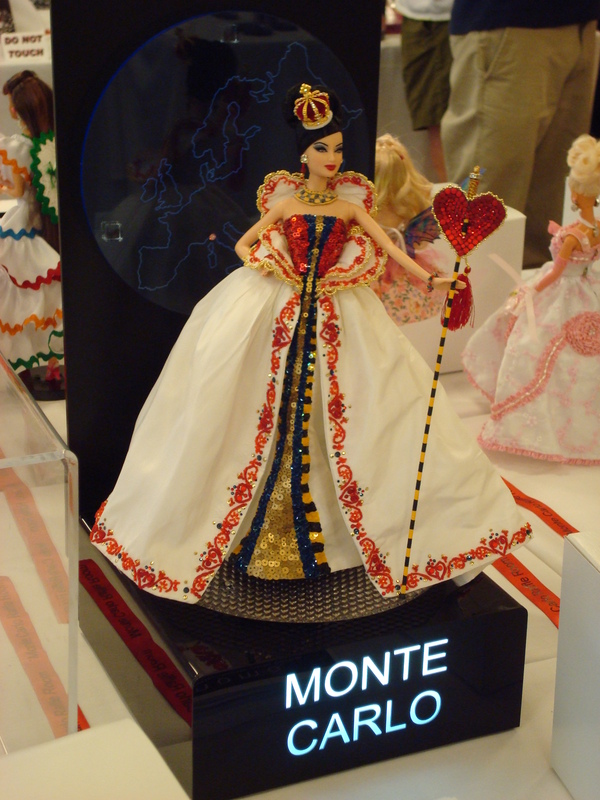 The display created stays with the theme of The Grand Tour, representing Monte Carlo. The display is made of black, clear honeycomb and fluourescent blue acrylics. ‘Monte Carlo’ is lighted from within and the round blue fluourescent back acrylic has the European continent etched in it with a crystal designating this specific city location.